August 3, 2018 -- Nuclear medicine facilities are again relying on their improvisational skills to deal with a shortage in their daily practices. This time it's the drug aminophylline, a key component of pharmacological PET and SPECT stress tests. Aminophylline is used during nuclear stress tests to open the breathing pathways of patients with bronchial issues to counteract an adverse reaction to regadenoson, a pharmacologic stress agent that forces the heart to start pumping to mimic exercise. Having aminophylline on hand has been a key element in ensuring patient safety during stress exams. Dr. Michael M. Graham, PhD, from the University of Iowa. The shortage of aminophylline over the past several months has forced nuclear medicine sites to turn to theophylline or caffeinated beverages, such as coffee, to help patients breath better and complete their scans if they experience side effects from regadenoson. Unfortunately, providers will have to depend on these alternatives for at least two more months before aminophylline's manufacturer, Pfizer, can replenish supplies. 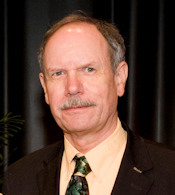 "The problem is that many sites feel that it is unethical to give someone regadenoson if they don't have the reversal agent [aminophylline]," said Dr. Michael M. Graham, PhD, a professor of radiology and the director of nuclear medicine at the University of Iowa. "A little better than 9 times out of 10 times, the patient will not need aminophylline or they could do with a cup of coffee. But that other time, when we need to have it, we are unnecessarily risking the patient's health if we do not." The shortage is due to a "technical issue with the active pharmaceutical ingredient, which is supplied from an outside supplier," Pfizer told AuntMinnie.com in a prepared statement. The company expects to begin resupplying the market in October. Aminophylline is among a set of drugs known as methylxanthines that have been used for decades to treat bronchial conditions such as acute asthma exacerbation, chronic obstructive pulmonary disease (COPD), and emphysema. Aminophylline dilates restricted airways -- a condition known as bronchoconstriction -- by relaxing a person's breathing muscles. Methylxanthines work by blocking the adenosine receptor. Adenosine is a natural hormone that circulates in the body in small amounts, but at higher levels it can cause vasodilation of blood vessels in the heart, as well as bronchoconstriction and decreased blood pressure. When aminophylline enters a patient's blood stream, it binds to the adenosine receptor, blocks it, and reverses adverse side effects from regadenoson. "The reason [aminophylline] is important to nuclear medicine is that we used to use adenosine, but now we use regadenoson -- which is an adenosine analog -- to achieve coronary vasodilation to perform PET and SPECT stress tests," Graham explained to AuntMinnie.com. "A small fraction of the time, patients have a significant adverse reaction to regadenoson, and we need to be able to reverse it. That is where the aminophylline comes in." Adverse reactions to regadenoson mostly are fairly mild. They include chest pressure and shortness of breath. During PET and SPECT stress test conditions, however, even these seemingly benign reactions can be very upsetting. Patients with claustrophobia could feel closed in by the scanner, and sudden shortness of breath could increase their anxiety. Dr. David Wolinsky from Cleveland Clinic Florida. "Almost all of these side effects will get better on their own, but if we give [a patient] aminophylline, we can reverse the side effects of the vasodilator stress," said Dr. David Wolinsky, the section head of nuclear cardiology at Cleveland Clinic Florida. "The reality is, in basic studies, well less than 5% of patients get aminophylline with regadenoson. Some places give it to [patients] automatically to avoid side effects. The number of times that we really need it to emergently reverse major side effects is maybe 1%." Wolinsky estimated that 50% to 60% of all of SPECT studies at the Cleveland Clinic Florida are done via pharmacological stress, while close to 100% of PET studies are performed with the help of a pharmacological agent. Technologists at the facility opt for a caffeine-based beverage most of the time to counteract mild side effects from pharmacological stress. "People with lung disease may be the ones you would be most worried about," he added. "Theoretically, they could start wheezing, and we want to reverse that quicker. Minor reactions -- the headaches, intestinal side effects, dizziness, and lightheadedness -- could be handled very easily with caffeine or theophylline." To be sure, there are viable options to aminophylline. A related drug, theophylline, can be administered intravenously or taken orally to quell side effects and serve as a suitable substitute for caffeine. Somewhat ironically, patients are told to stay away from any caffeine intake 10 to 12 hours before their pharmacological PET or SPECT stress test. 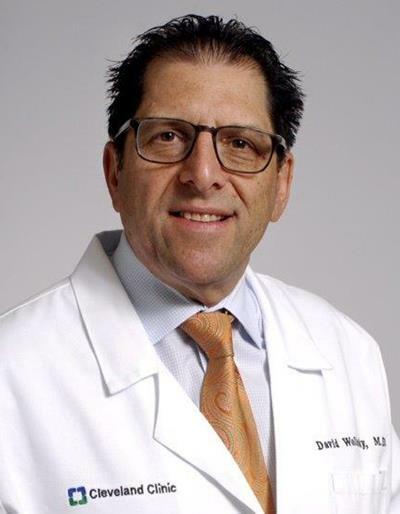 "If a patient had caffeine before one of these stress tests, they cannot come in for one of these pharmacological stress tests," said Wolinsky, a past president of the American Society of Nuclear Cardiology. "They have to hold their caffeine for 10 to 12 hours, because it can impact the ability for the vasodilators to dilate the coronary arteries." Caffeinated beverages are "heaped in quantity" at the University of Iowa, Graham said. Staff members regularly offer the drinks to patients at the end of their studies, but caffeine-based liquids "are not suitable for an emergency situation," he noted. The degree to which the aminophylline shortage has interrupted pharmacological PET and SPECT stress tests appears to vary based on an imaging facility's dependence on the drug. "Some sites routinely inject aminophylline at the end of the study to be sure there are no adverse reactions. At other sites, it is only injected when there is a significant problem," said Graham, a past president of the Society of Nuclear Medicine and Molecular Imaging. "Aminophylline should be sitting at the bedside when we do the study." As is always the case, the choice to perform an imaging scan is balanced on the risk versus benefit for the patient, and the current aminophylline shortage should not be a reason to cancel a stress test. "I don't think it is a cause for clinicians to alter their referral patterns," Wolinsky said. "I think it is important to know that most places are going on without any change in their practice patterns, and one should not be concerned about ordering a nuclear stress test." Editor's note: The image on the homepage is courtesy of the Journal of Nuclear Medicine.